I'm really excited about today's post. I know I spent lots of hours playing this game when it first came out. 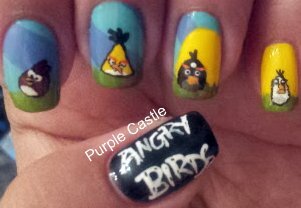 I don't play it anymore, but my son Nathan does. 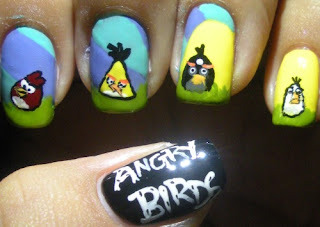 I asked him to help me with ideas for my nails and he immediately said: "Angry Birds!". 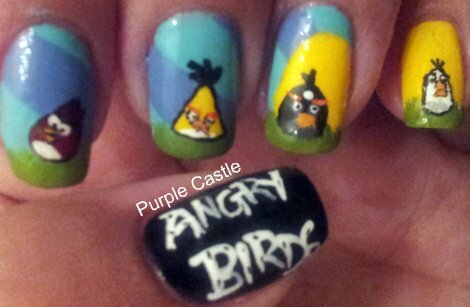 So here are my angry bird nails. Sorry for the picture spam. I've never played angry birds but i think they are cute! 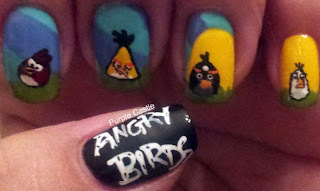 I love angry birds, and your mani is a great tribute to the game! So cool!! 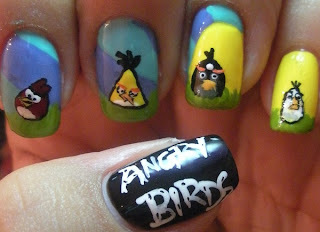 The birds look awesome!! Hehe this is so awesome! I love each nail! You are amazing!! 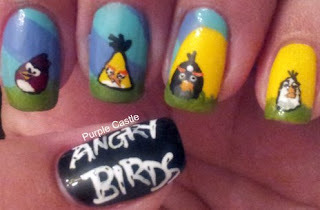 This is fab! 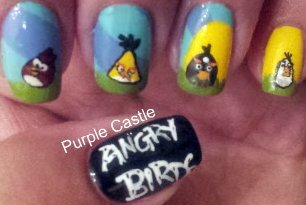 estoy segura q estas son las uñas favoritas de Nathan!